This week's spotlight stallion is Lea, an 8-year-old son of First Samurai that stands at Claiborne Farm. Lea made his racing debut at age three, finishing a close second in an eight-furlong turf contest at Churchill Downs. He then won his next two starts, turf contests at Saratoga. From there he quickly moved to graded stakes contests, finishing third in the G3 Hawthorne Derby before closing out the season with a victory in the G3 Commonwealth Turf Stakes at Churchill Downs. Lea started off his 4-year-old season with a win at Churchill Downs before moving back to graded stakes company. 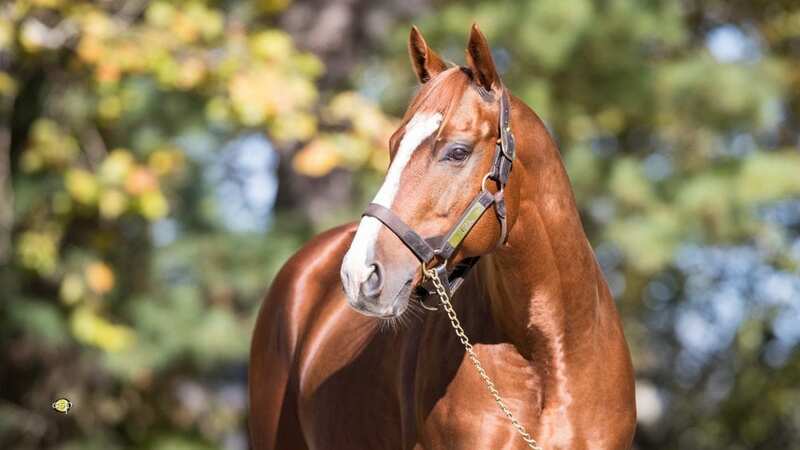 Although he didn't record a victory, he was second in the G2 Firecracker and third in the G2 Fourstardave Handicap – the winner of both races was two-time Horse of the Year, Wise Dan. Lea returned to the racetrack as a 5-year-old. Although he made just two starts that year, they were both impressive victories – first in the G3 Hal's Hope, and then in the G1 Donn Handicap. The Claiborne Farm colorbearer returned to the races at age six, promptly winning the G3 Hal's Hope on his seasonal debut. After a close second-place finish in the G1 Donn, he then went to Dubai, where he finished a good third in the G1 Dubai World Cup. After close second-place finishes in the G1 Stephen Foster Handicap and G1 Ricoh Woodbine Mile, Lea closed out his career with a runner-up finish in the G1 Breeders' Cup Dirt Mile. Lea retired with a record of 19 starts, 7 wins, 6 second-place finishes, and 3 third-place finishes, for total earnings of $2,362,398. Lea entered stud in 2016 at Claiborne Farm. His first crop are weanlings. This entry was posted in In The Stud and tagged Claiborne Farm, First Samurai, Horse Racing, in the stud, lea, thoroughbred by Paulick Report Staff. Bookmark the permalink.